Do you eat the same breakfast every morning? Tired of your typical eggs? Or are you just looking for a new, easy egg recipe? 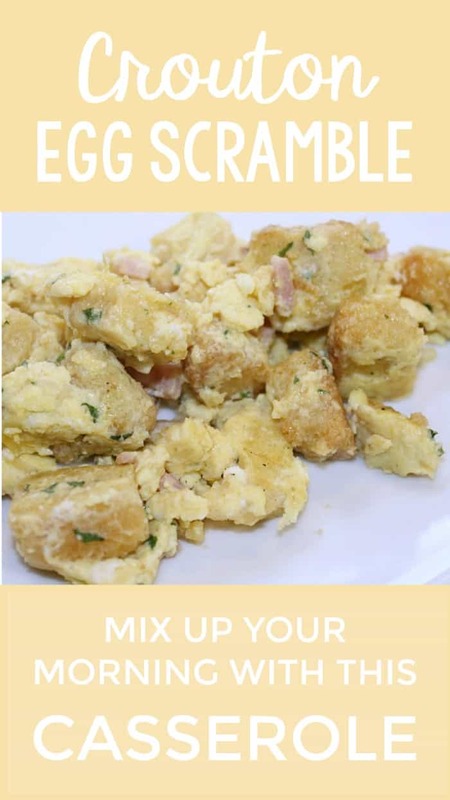 Today, I’m sharing my family’s Crouton Egg Scramble with you! My father created these eggs and each time were equally delicious and unique, but all containing one common ingredient: CROUTONS! 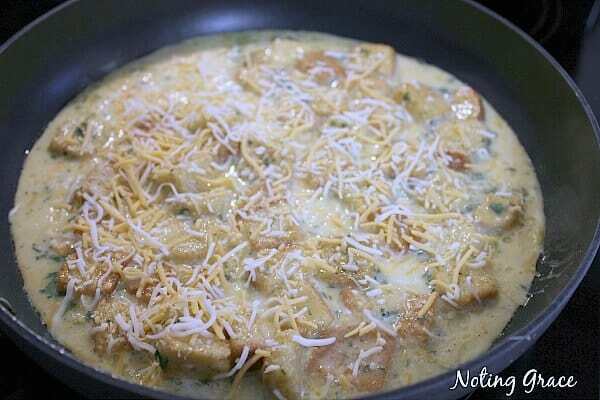 Mix your eggs as you normally will scramble them. 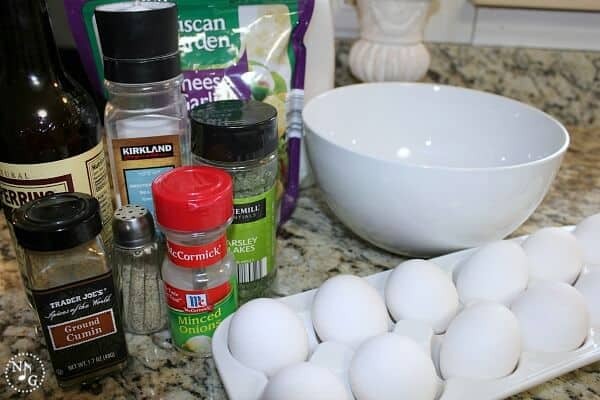 Add the croutons to the egg mixture and allow them to soften for about 2 -3 minutes. Next, add the remaining dry ingredients. Pour in the pan and top with shredded cheese, and breakfast ham. Since this is a ‘create your own’ type of breakfast, add what your family will like. We use breakfast ham, but additionally bacon, sausage and lunchmeat ham are just as tasty. My father adds cheese spread like Velveeta or bacon grease to his. 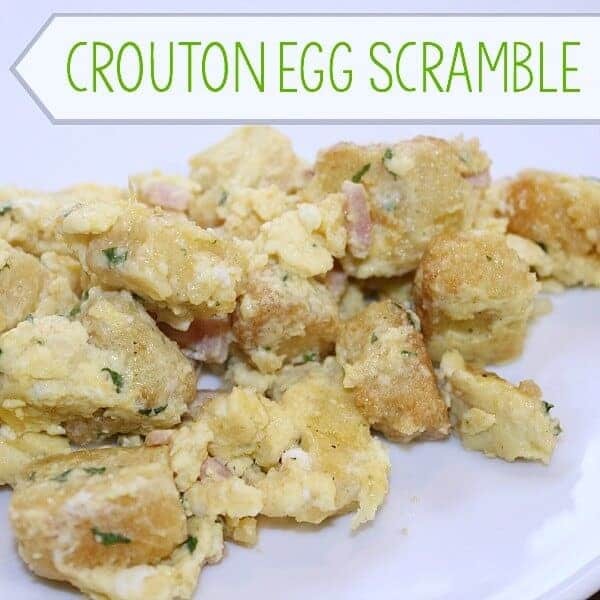 The croutons not only add an interesting texture to the eggs, but it also stretches the budget a bit by using less eggs than you typically would. Since spice sometimes have suggestions printed on the label for what dishes they work well in, look for those that include eggs. So mix and match the spices to your liking and give your normal morning scramble a little oomph! 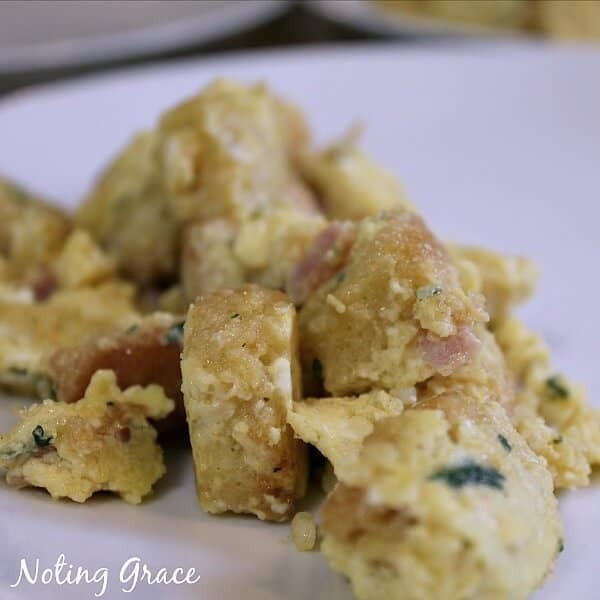 Pin This Crouton Egg Scramble Recipe for later!